Mediavine pays on a NET 65 basis. This means 65 days from the end of the month that money was earned. 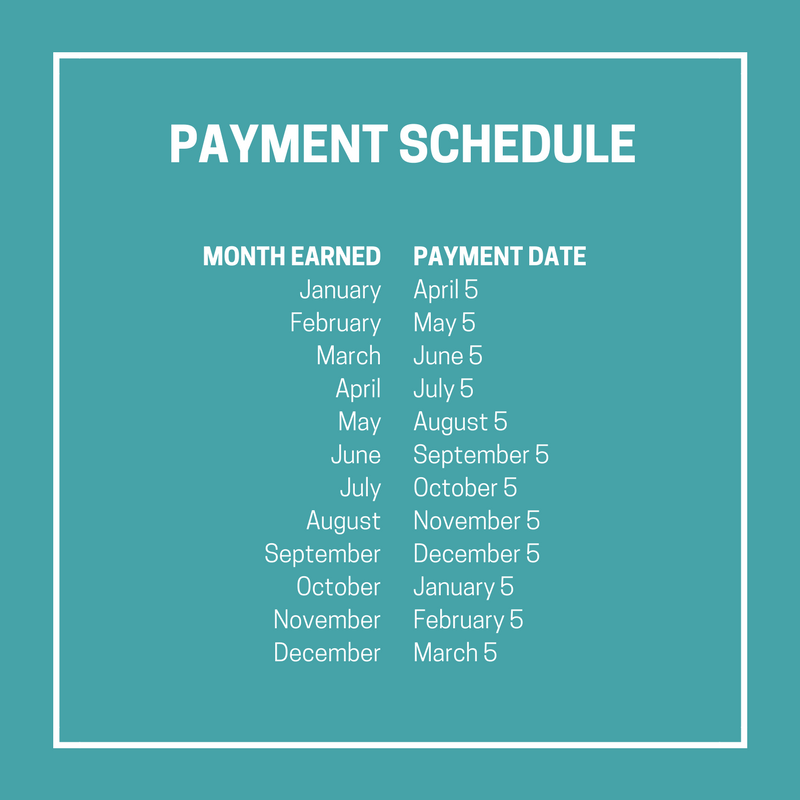 As of August 2017, payments are made on the 5th of the month. If the 5th falls on a weekend, payments will be made on the closest business day. For example, all money earned in January will be paid to you on April 5th. You bet! We have a handy schedule just for you! As of Aug. 1, 2018, Mediavine publishers have the option of several payment methods via our partner, Tipalti. You may be eligible for some fees based on the payment method you choose. You can review all the payment methods here. For more information about Mediavine's payment options, please see this guide. Prior to July 31, 2018, Mediavine used PayPal Mass Payments, a product from PayPal that allowed us to take on the cost of transfer fees. We made the decision to switch away from PayPal to a solution that provided more flexibility for all of our publishers around the world. For help with previous payments, see our help guide on PayPal payments for more information. When is the loyalty bonus paid? The loyalty bonus is paid monthly as part of your revenue share. You will receive your bonus NET 65 with each month’s earnings. Got questions? Please email payments@mediavine.com. We are happy to help!